This set includes a large Good Night with a kitten and flowers for a baby sheet and a smaller Good Morning kitten and flowers for a pillow case. 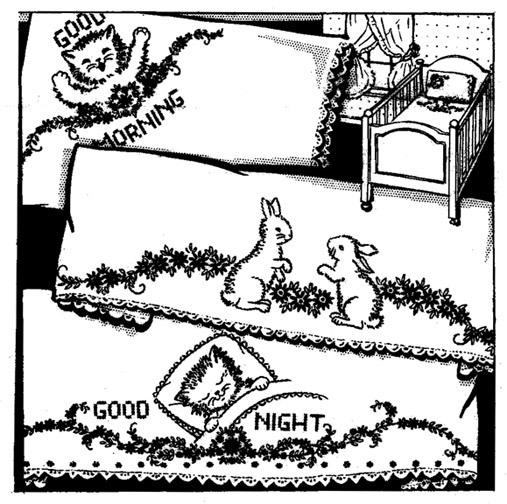 There is also a large design with two bunnies and flowers for a baby sheet and a smaller sleeping bunny design for a matching pillow case. Sweet and charming. Includes 4 designs + instructions. Originally published as Laura Wheeler #2504.